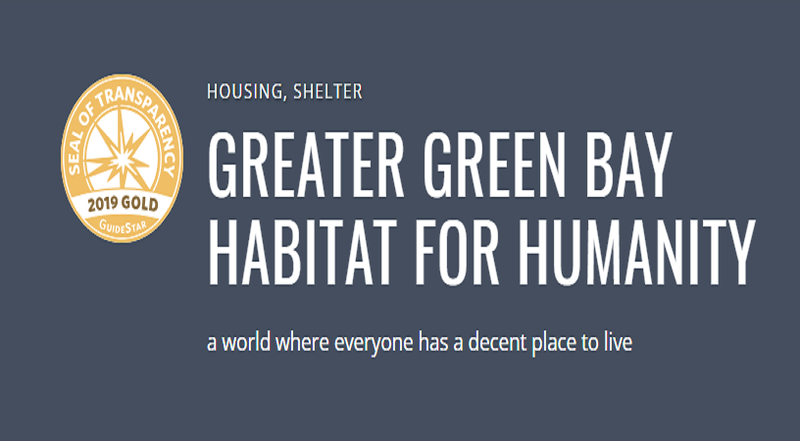 Greater Green Bay Habitat for Humanity was recently recognized for our transparency with a 2019 Gold Seal on their GuideStar Nonprofit Profile. Now community members, as well as 10+ million GuideStar users, can find in-depth information about Habitat’s goals, strategies, capabilities, and progress. We’re happy to be shining a spotlight on the difference Greater Green Bay Habitat for Humanity can help make in the world.